The description of Veritas Press History Homeschool Curriculum was written by Marlin Detweiler, President of Veritas Press, a full-service Curriculum Provider for classical Christian educators. The Veritas Press History Homeschool Curriculum is divided into five series. The core ingredient, the flashcards, has 32 cards designed for a 36-week school calendar, allowing for one week at the end of each quarter for review and testing. A Teacher's Manual to work with each series contains a worksheet, at least one project and a test for each card. Throughout the manuals you will find primary source readings and illustrations, games, art projects, theatrical scripts, maps and more. The school versions have the same content as the homeschool but grant copy permission for classroom use. We now have an Enhanced CD (for Series 1,2 and 3,so far) that includes the entire Teacher's Manual, the memory song and a video that demonstrates and teaches how to use the program for those who prefer an electronic format.. 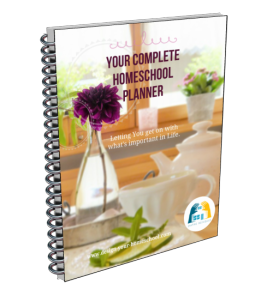 The basics needed are in the Homeschool Kit which includes the Cards, Memory Song CD and Teacher's Manual book. The same information can be purchased with the Cards and Enhanced CD. The first of five series in the history curriculum covers Creation through the fall of Egypt to Rome. The second series covers the beginnings of Greece through the end of the Western Roman Empire. The third of five series in the history curriculum covers the time of St. Augustine through John Knox and the Reformation in Scotland. The fourth of five series in the history curriculum covers the Age of Exploration through 1815. The fifth of five series in the history curriculum covers from 1815 to today. Learning history chronologically has proven invaluable in the lives of many children and indeed in many homeschools. Having children memorize names, dates, places and events has given them a valuable tool for understanding how God is working today and what He has done during many past events. Furthermore, they are following classical methodology by memorizing this material which is presented in a variety of ways that makes the memory work quite enjoyable. We've heard countless examples of how students who used this curriculum were able to routinely contextualize more in depth study in later years--and that is exactly what needs to happen. Knowing a chronological sequence or time line of history is a crucial part of anyone's education. This program will do just that. We have enjoyed using the Veritas Press History Curriculum Flashcards as a part of our memorization program. We would line them up, order them, peg them on a line and check the dates at the back. To make the history curriculum more complete, we added living books for the time period. This is what makes the history come alive. 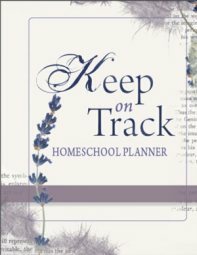 I have written more about a Living Books Approach to teaching homeschool history at this page and have incorporated many different living books as we have designed our own homeschool history curriculum. Vertias Press have also developed year curriculum called, "Omnibus" - "all encompassing." Completing Omnibus I will provide the student a full credit in Ancient World History I, Doctrine and Theology I, and Ancient Literature I. Combining these disciplines will have students grow in their appreciation of the unity of all knowledge, and all the material is taught through a biblical worldview. All of the Veritas Press Omnibus Series are comprehensive and offer both a primary and a secondary set of readings. I have used them with their CD - of teacher's notes, answers and information. Great to follow up after you have created your own history curriculum in the primary years using the Veritas Press cards.